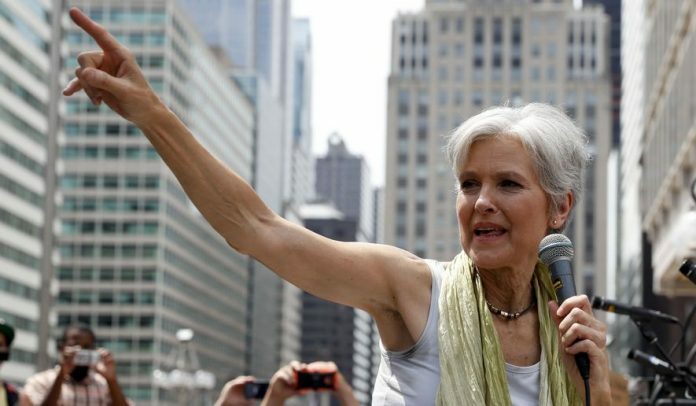 Jill Stein has called for a new inquiry into the terror attacks on Sept. 11, 2001, saying that she believes the previous official investigation was deliberately undermined by the Bush administration. 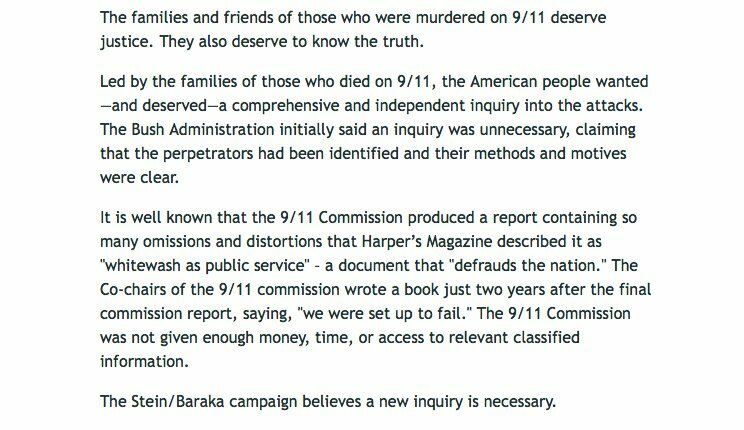 The Green Party presidential candidate issued a statement on her website saying that the 9/11 Commission was stonewalled by the previous administration, claiming the report “contained so many omissions and distortions”. “Led by the families of those who died on 9/11, the American people wanted — and deserved — a comprehensive and independent inquiry into the attacks,” Stein said in a statement, according to MSNBC. She goes on to clarify her position on Bush’s negligence.